Regional migration within Africa and other developing regions is vital for the economic development of countries of origin and destination and for the welfare of migrants and their families (as recognized by SDG 10.7). Going forward, regional migration will be a crucial tool for countries of origin and destination to adapt to demographic trends and environmental changes. Although regional organizations have invested increasing efforts in the promotion of orderly, safe and regular migration, they have received scant acknowledgment in international policies and processes. Yet, they are the most important and most promising entities to promote more liberal migration regimes. 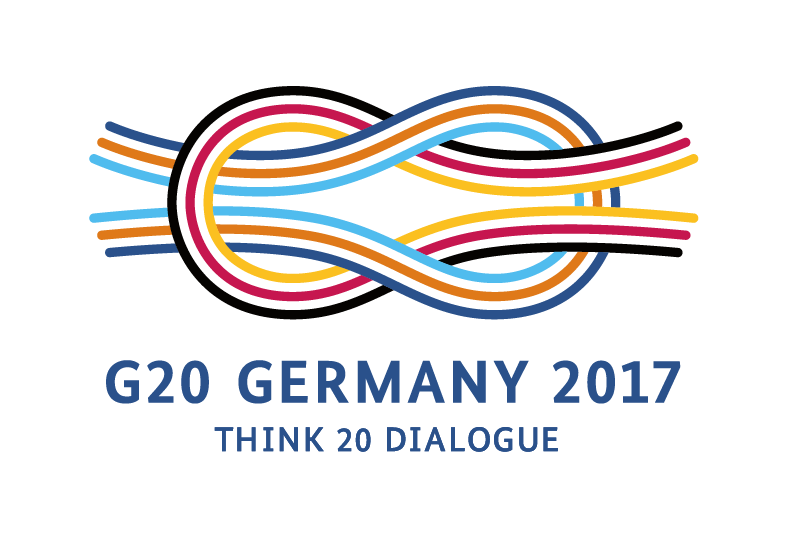 The international community, and G20 countries in particular, should support capacity building for these regional organizations and involve them fully in relevant policy dialogues. Most migration in Africa and other developing regions is internal (within countries) or regional (between neighboring countries). For several reasons, regional migration between low-and middle-income countries is likely to increase in the coming years: First, economic development will lead to higher personal incomes which, together with declining travel costs and evolving migrant networks, make the possibility of migrating accessible to more people. Second, even when countries are located in close proximity to one another, they often follow very heterogeneous economic, demographic and environmental trajectories, creating strong incentives for intraregional migration. Regional organizations in the Global South have become increasingly engaged in the management of migration, seeking to reap benefits but also address the challenges associated with forced and/or irregular migration processes. Inter alia, migration issues have been embedded in the regional integration agreements that have been developed in many parts of the world, exemplified by the West African ECOWAS region. However, their actual and potential contribution to orderly, safe and regular migration is not sufficiently acknowledged at present. The most recent signal for a renewed attention towards regional migration governance comes from the African Union: the launch of the African Continental Free Trade Agreement (AfCFTA) provides both favorable opportunity and urgent need for more effective international cooperation and a stronger role of regional organizations. If regional initiatives are not strengthened adequately, they will not be able to moderate national self-interests and anxieties. The next step in the process of Africa’s regional integration, AfCFTA’s Free Movement Protocol, is then unlikely to become reality. In consequence, AfCFTA might become just another broken promise for orderly, safe and regular migration. Most international migration, including forced displacement, takes place in and affects countries of the Global South. According to data from the United Nations High Commissioner for Refugees (UNHCR), 87 per cent of all refugees do not find refuge in Europe, North America or Australia but in the immediate vicinity of their countries of origin – and hence mostly in developing or emerging countries. If other forms of migration are included, such as labour or educational mobility, the figure remains high. In Africa, for instance, the majority of migratory movements take place within the continent. neighboring countries, but also increasingly young people moving to obtain formal educations (Awumbila 2017). Southern African migration is mostly circular between countries in the region, with South Africa at its center. In addition, Botswana has become a major country of immigration as it experiences political stability and economic growth; it has attracted highly skilled professionals from Ghana, Zambia, Uganda, Zimbabwe, Nigeria, and Kenya (Adepoju 2008; Nkamleu and Fox 2006). In Latin America the figure is somewhat smaller, given the longstanding prevalence of cross-border migration to the United States. Accordingly, it is not surprising that regional organizations in the Global South have become increasingly engaged in the management of migration in the last years, and some even for decades. Apart from mobility trends proper, this can also be attributed to at least two developments in international relations and policies. The first is a progressive broadening and deepening of regionalism, understood as a primarily government-led process of building and sustaining formal regional institutions and organizations between at least three states” (Börzel/Risse 2016: 7). The second is an increasing pluralisation of migration policy actors. Amongst the latter were regional organizations, but also players from other levels of government and from outside the state (Angenendt/Koch 2017: 19). Presently, regional migration governance manifests in three different formats: 1) Migrationrelated activities of regional organisations (e.g. ECOWAS, ASEAN and MERCOSUR); 2) regional consultative processes (RCPs) as rather informal dialogue platforms usually facilitated by the International Organization for Migration (IOM), and 3) inter-regional cooperation processes (such as Khartoum and Rabat Processes) also constituting more informal dialogue initiatives albeit with programme components. These formats tend to focus on different issue areas. While formal regional (or continental) organizations have often established norms and standards for the freedom of movement and labour migration, and sometimes on the rights of refugees and internally displaced people, the informal RCPs and trans-regional processes rather focus on security issues and irregular migration. Furthermore, the latter two formats are criticised for a lack of transparency and an insufficient integration of civil society organisations. While the European Union is generally perceived as a pioneer in terms of regional integration and free movement norms, regional organizations of the Global South have also taken significant action in this field. For instance, the South American Mercosur has established the free movement of labour as one of the main objectives of its Common Market, starting with its Treaty of Asunciòn in 1991. In 2009, these objectives were consolidated by the Residency Agreement that includes nine South American countries and ensures easy access to residency permits (at first temporary and later on permanent basis) to any State party, with no requirements other than nationality, presentation of a valid ID, birth certificate and police clearance certificate. This it grants to native with the exception of political rights. The ‘open door’ provisions have since been progressively deepened and enlarged, covering additional sectors (portability of social security, mutual recognition of qualifications, liberalization of services) and countries on the sub-continent (Bolivia, Chile, Ecuador, Colombia and Peru) (Lavenex et al. 2016: 462). However, the implementation of these norms is rather patchy in particular due to limited enforcement capacity. For instance, there is no intra-regional juridical body (Lavenex 2016: 262). Even more than MERCOSUR the West African ECOWAS should be considered a forerunner in the introduction of norms for the free movement of persons in the global South. In 1979, it introduced a three-phased approach (free visa-entry, right of residence and the right of establishment), of which however the last component has not been fully implemented until to date (in contrast to MERCOSUR). Likewise, reports on violations of the first two elements of the Protocol are not seldom. Beyond free movement, regional organizations have also taken important steps in the implementation of other areas of (global) migration governance. In the African context there are strong norms concerning refugee protection, (e.g. the Kampala Convention) which have however been ratified by only a handful of countries. Moreover, regional organizations are facilitating the application of global norms. A recent example is the Nairobi Plan of Action for Durable Solutions for Somali Refugees facilitated by the East African IGAD in March 2017. It constitutes a regional pilot project of the Comprehensive Refugee Response Framework (CRRF) developed in the context of the 2016 New York Declaration. While up to present national governments are seen as primary implementers, there are good reasons for regional approaches, too. In the mentioned case, these are the regional impacts of the Somalian political and refugee crisis on the one hand and the established role of IGAD as mediator in regional peace processes on the other. There are nonetheless a variety of factors hindering effective regional migration governance, particularly concerning implementation. First, low levels of legalization (e.g. lack of a supranational executive and judicial body) often diminish enforcement capacities of regional policies; moreover, technical and funding capacities related to migration and forced displacement tend to be limited. Second, in regions with low levels of economic integration and intra-regional trade such as in IGAD, incentives for free mobility regimes are rather scant (Byiers 2016). This is accentuated in regional spaces where insecurity and violent conflicts (also between governments) call for heightened border control rather than free movement. Third, while many ROs are promoting the liberalization of mobility, interests of external actors are partly pushing in an opposite direction. This can be observed in the African context, where European initiatives such as the EU Horn of Africa Migration Route Initiative (“Khartoum Process”) of 2014, the Euro-African Dialogue on Migration and Development (“Rabat Process”) of 2006 or the Mobility Partnerships with selected countries place a strong focus on the countering of irregular migration. Moreover, the latter initiatives are primarily entailing collaboration with national governments thereby undermining the influence of regional organizations. Finally – as the case of South Africa and the South African Development Community (SADC) shows – powerful member states of a regional economic community may rather be interested in (successfully) establishing bilateral migration agreements with their neighbors, which can undermine efforts to come up with or further develop a regional migration governance system. Migrants are known to facilitate the flow of goods, finance and knowledge between origin and destination countries and establish fruitful networks which are beneficial to their communities of origin. In developing countries, migration opportunities constitute a significant incentive for private investments into education, which often help to increase human capital in sending countries (Shreshra, 2017). While that applies to migration in general, regional migration is characterized by lower costs, better information for migrants, and fewer obstacles to integration in the respective receiving countries. It is not by chance that regional economic zones have emerged all over the world: compared to global or superregional trade agreements, regional economic zones can be politically less sensitive and may smooth out differences among neighbors. With today’s ongoing negotiations on the Global Compacts for Migration and Refugees, regional migration agreements may also foster that climate of “complementary competition” that has supported world trade liberalization over the past three decades (Taifeng, 2009). Legal access to labor markets for regional migrants is crucial for positive development impacts, usually benefitting migrants as well as origin and destination countries. (Shamshad Akhtar 2016, Executive Secretary, UN Economic and Social Commission for Asia and the Pacific). In order to reap these benefits, it is essential to develop effective institutional frameworks for regional migration governance that reinforce safe and regular migration. A migrant’s legal status (i.e. regular vs. irregular) is crucial for positive outcomes for several reasons: First, irregular workers tend to earn significantly less (Rivera-Batiz, 1999; Dustmann et al., 2017). Second, amenities such as access to public goods and improved personal security may increase subjective well-being considerably. But access to public goods and other amenities is mostly limited or even impossible for irregular migrants. Third, irregular migrants live highly uncertain lives due to the constant threat of deportation. This results in short-term personal planning and low investment into skills; successful integration becomes more difficult to achieve and the economic benefits of migration are smaller at aggregate (national and regional) levels. While many world regions can benefit from more effective and inclusive regional migration governance, the issue is of unparalleled importance for Africa. This is due to (i) the currently rather low level of regional integration and many remaining legal obstacles to free labor movements; (ii) the high intensity of regional migration, both regular and irregular, in SubSaharan Africa; and (iii) future population growth, economic and climate change impacts that will multiply the demand for intra-regional migration in Africa. While none of these three factors is unique to Africa, their combination and magnitude is unprecedented. Prospects for better education, employment, or higher income typically represent the underlying incentives for migration; geographical proximity often determines its feasibility and direction. Along this line, we observe that multilateral cooperation between states within regional economic communities (RECs) plays a crucial role for labor migration throughout Africa. Regional communities, such as the Economic Community of West African States (ECOWAS), the East African Community (EAC), or South African Development Community (SADC), have all pursued freedom of movement policies, albeit with dissimilar impetus and impact (Fioramonti and Nshimbi 2016). The recent signing of the African Continental Free Trade Agreement (Box) with a Protocol on Free Movement of Persons, Right to Residence and Right to Establishment may help to strengthen these efforts. A simple regression model of bilateral migration flows between African states suggests a significant positive impact of some RECs on regional migration—beyond the bilateral migration flows that one would expect given the distances between member countries and their socioeconomic conditions. This is particularly true for member countries of the EAC, SADC, and Intergovernmental Authority on Development (IGAD) in Eastern and Southern Africa (the corresponding regression table can be found in the annex). Consequently, the governance of migration through these regional organizations may be of particular importance. In March 2018, 44 African countries signed the African Continental Free Trade Agreement at the AU summit in Kigali; 30 countries signed the Protocol on Free Movement of Persons, Right to Residence and Right to Establishment.1 The major aim of the agreement is to expand intra-African trade by relaxing tariffs and non-tariffs barriers and to promote African economic integration and development through trade and migration. However, the agreement needs to be ratified by at least 22 member states before it can be implemented. Further, there are challenges that need to be addressed in order to facilitate movement of people, goods and services within the continent. The most important is the low level of interconnectivity – the physical infrastructure in large parts of Africa needs to be improved to enhance intra-regional as well as international trade and migration. To date, Africa is the least integrated continent in the world in terms of mobility-related infrastructure and regulations. For instance, North Americans can travel more easily across Africa than Africans themselves. Africans need visas to travel to 55% of other African countries while North Americans do not need a visa in 20% of African countries and can get visas upon arrival in 35% of African countries. Other barriers include the heterogeneous size of African economies, limited and divergent levels of industrial development, different degree of openness, as well as the existence of numerous bilateral trade agreements with the rest of the world. a binding liquidity constraint to international migration. When income levels rise, more people will be able to finance a move. Attractive destinations are often nearby. Heterogeneous institutional and economic trajectories of African countries have fueled regional migration in the past and will continue to do so. Prime destination countries such as South Africa, Botswana and Côte d’Ivoire attract migrants from the wider region. This general pattern is further spurred by population growth. Africa is the last world region where the demographic transition is still underway; its population is projected to double by 2050 and reach 3.75 times its current size by the end of the century. That alone will boost regional migration systematically – particularly because Sub-Saharan Africa, a region with little intercontinental migration experience and opportunity, accounts for most of the population growth. Moreover, trends within Africa are highly heterogeneous – even within sub-regions, as neighboring countries may find themselves at different stages of the demographic transition and excess labor supply in one country may be utilized productively in another country. Thus, time-displaced demographic developments create a large potential and demand for regional migration. Another factor that may boost intra-regional migration is climate change. Adverse shocks to rural livelihoods can push people out of disadvantaged areas. While the dominant response to environmental shocks is most likely internal migration (Rigaud, 2018), large-scale covariate shocks – like increasing temperatures – may also increase cross-border migration. There is a broad consensus that regional integration – and especially the free movement of workers – is important for regional development. Nevertheless, migration continues to be a sensitive topic in all regions of the world. Labor migrants are often still perceived as a threat to the economic well-being of nationals. Therefore, negotiations for more liberal migration policies face opposition that needs to be overcome. In many instances, progress towards regional migration regimes that guarantee safe, orderly and regular migration is slow or has stalled completely. However, regional communities are the most promising entities to moderate such discrepancies, bring forward regional agreements and govern migration effectively. Migration Route Initiative (“Khartoum Process”) and the 2006 Euro-African Dialogue on Migration and Development (“Rabat Process”) may do exactly this. Such migration policy initiatives tend to address national governments and bypass regional organizations in the global South. Moreover, the current emphasis on security issues and on curbing irregular migration may undermine progress in regional integration processes by positing more strict and severe procedures that emphasize migration control. In the global South, both personal and technical capacities in the area of migration governance need to be improved and expanded. Attention should be devoted to all aspects of migration, not only those related to security. Therefore, G20 countries should provide funding for settlement programs and institutional capacity building of RECs and national governments in migration management, particularly pushing for concessionary funding from the World Bank and the African Development Bank. RECs and member states need financial and technical support in all areas of migration. RECs and national governments are complementary in roles and responsibilities. While RECs are important for setting norms and agreements, only national governments can actually implement them. RECs need to have the capacities to initiate, negotiate and monitor migration frameworks and dialogue processes. Often, the effective implementation of progressive immigration policies involves reforms to sectoral policies, budgeting systems and planning processes. A capacity building program should be informed by an assessment of the existing capacities and resources on migration. The role and influence of regional organizations in both the (new) global migration architecture and in intraregional (RCPs) or interregional dialogue formats should be enhanced, for example by providing them with a more active role in the follow-up process related to migration compacts. The latter should be intensified and – in particular with regard to civil society participation – broadened in order to find a nuanced balance between global, regional and national levels in migration governance. Though to a varying degree, most RECs are underperforming, with low level of compliance by member states – and this has delayed successful integration. Furthermore, many African countries belong to multiple RECs, which tends to limit their efficiency and effectiveness. The recently signed continental trade agreement (AfCFTA), if implemented, can help mitigate this problem. In addition, the agreement will probably increase the free mobility incentives, and thus, promote regional economic integration. Africa’s global trading partners (the European Union, USA and China) can support the continent’s economic integration by signing trade agreements with regional blocks rather than individual countries; the EU’s recently initialed Economic Partnership Agreement with 16 West African States is an early example of this proposed reorientation..
Adepoju, A. (2008). 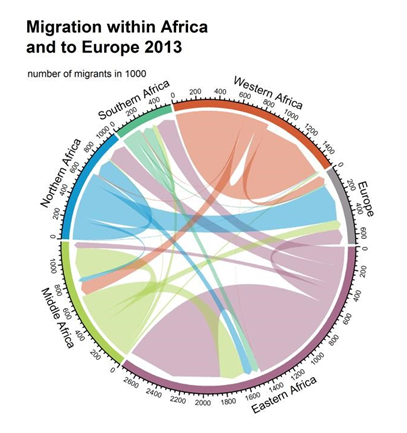 Migration in Sub-Sahara Africa‘ (Current African Studies 37). Uppsala: The Nordic Africa Institute. Angenendt, S., & Koch, A. (2017). ‘Global Migration Governance’ im Zeitalter gemischter Wanderungen. Folgerungen für eine entwicklungsorientierte Migrationspolitik (SWP-Studie 8, April 2017). Berlin: Stiftung Wissenschaft und Politik (SWP). Asis, M.M.B. (2004) ‘Borders, globalization and irregular migration’, in A. Ananta, and E.N. Arifin (eds.) International Migration in Southeast Asia. Singapore: Institute of Southeast Asian Studies, 199-227. Awumbila, M. (2017). ‘Drivers of migration and urbanization in Africa: Key trends and issues’. (UNDESA Background Paper). New York: United Nations Department of Economic and Social Affairs. Börzel, T. / Risse, T. 2016: Introduction: Framework of the Handbook and conceptual clarifications. In: Börzel, T. / Risse, T. 2016: Oxford Handbook of Comparative Regionalism. Oxford University Press. P. 3 – 13. Byiers, B. (2016), ‘The political economy of regional integration in Africa. Intergovernmental Authority on Development (IGAD)’, Maastricht: ECDPM. de Haas, H. (2010) ‘Migration and development: a theoretical perspective’, International Migration Review, 44(1): 227-264. Clemens, M. A. (2014). Does development reduce migration?. International Handbook on migration and Economic development, 152-185. Hickey, M., Narendra, P., & Rainwater, K. (2013). A review of internal and regional migration policy in southeast asia. Migrating Out of Poverty Working Paper, 8. IOM (International Organisation for Migration) (2005) Internal Migration and Development: a Global Perspective, IOM Migration Research Series, No. 19. Geneva: IOM. Lavenex, S., Flavia, J., Terri, E., & Buchanan, R. (2016). Regional migration governance. In T.A. Börzel & T. Risse (Eds. ), Oxford handbook of comparative regionalism (pp. 457-485). Oxford University Press: Oxford. P. 457 – 485. Nkamleu, G. & Fox, L. (2006). ‘Taking stock of research on regional migration in Sub-Saharan Africa’ (MPRA Paper 15112). Munich: University of Munich. Pillinger, J. (2008) The Migration-Social Policy Nexus: Current and Future Research (prepared for the UNRISDIOM-IFS project on Social Policy and Migration in Developing Countries). United Nations Research Institute for Social Development, International Organization for Migration, Institute for Future Studies. Raghuram, P. (2009) ‘Which migration, what development? Unsettling the edifice of migration and development’, Population, Space and Place, 15(2): 103-117.